TORONTO, ON – APRIL 5, 2019 – The 2020 Yaris embodies the ideal formula for modern hatchback appeal: make it fun, make it efficient and keep it affordable. Add in the latest in multimedia technology to go with practicality and value, and the new Yaris Hatchback hits all the key points its customer demands. It combines the sporty fun and premium engineering of the Yaris Sedan in an audaciously styled hatchback while adding other upgrades. 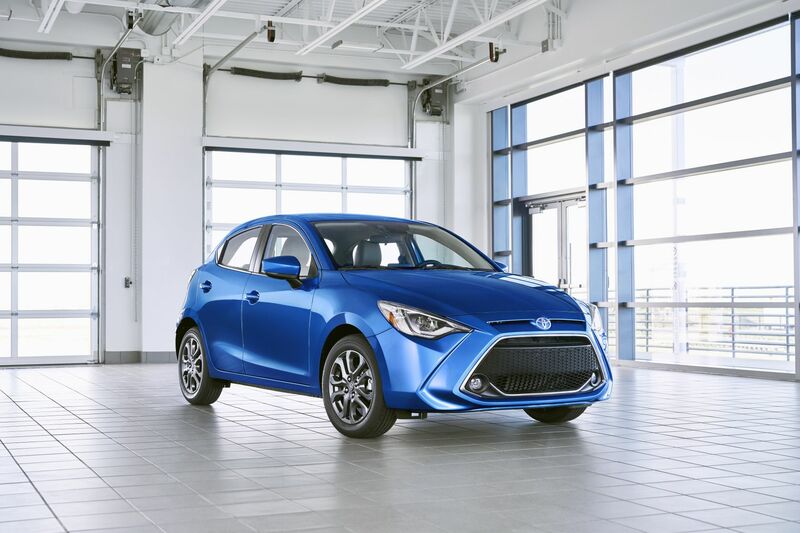 Toyota makes another big step for high-quality small cars by introducing the all-new 2020 Yaris Hatchback that will debut at the New York International Auto Show. The taut lines of the 2020 Yaris Hatchback are stretched over strong, athletic bones. The body structure comprises 65 per cent ultra-high tensile steels and is based on a continuous framework using straight beams wherever possible for maximum strength. The high structural integrity allows the MacPherson strut front suspension and torsion-beam rear suspension to be tuned for ride comfort and handling agility that exemplify the model’s “class above” driving dynamics. Translation: the Yaris Hatchback is a hoot to drive and a comfortable commuter.